Backs up open files (files in use) – as an example you can back-up Microsoft Outlook without closing it first. Head to promo page from HERE. 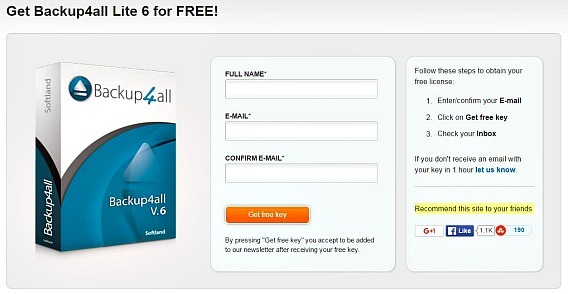 Now register the info by enter the name and email address, and then click “Get free key” button. Once complete, an email from Softland support team will received containing with confirmation and free license key for Backup4all Lite 6. Download and install Backup4all Lite 6. Enter the license key received and enjoy the Backup4all Lite 6 full version. 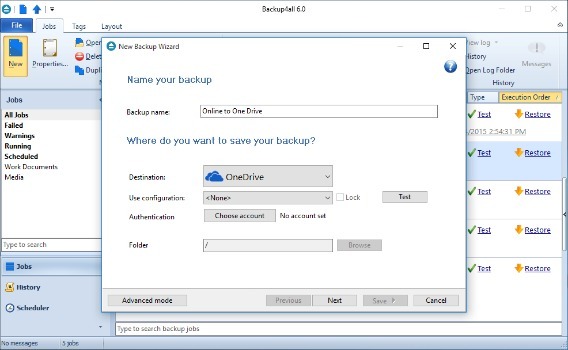 Backup4all lite 6 compatible with Windows Server 2003/ 2008/ 2012, Windows XP/ Vista/ 7/ 8, and Windows 10.